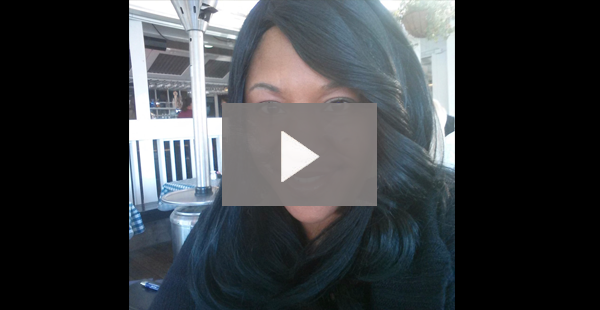 Holding You Accountable: Taking MASSIVE action and GETTING $HIT DONE! 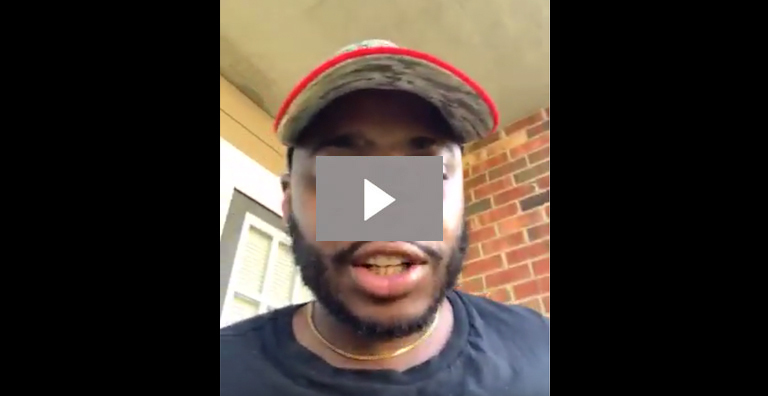 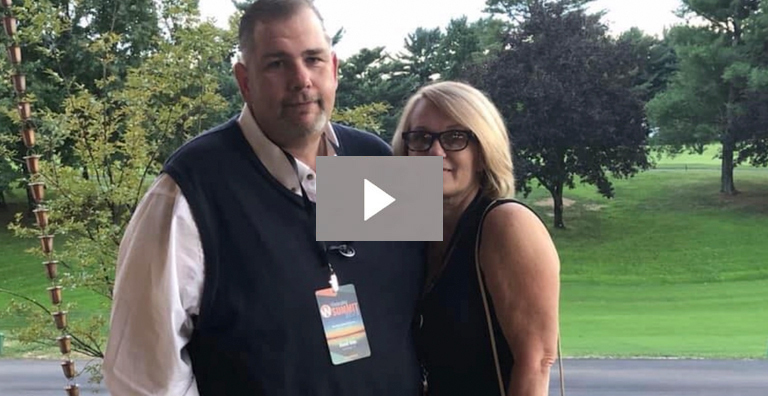 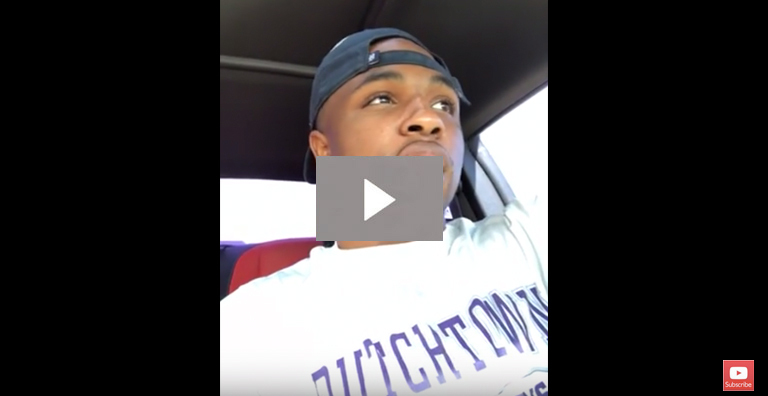 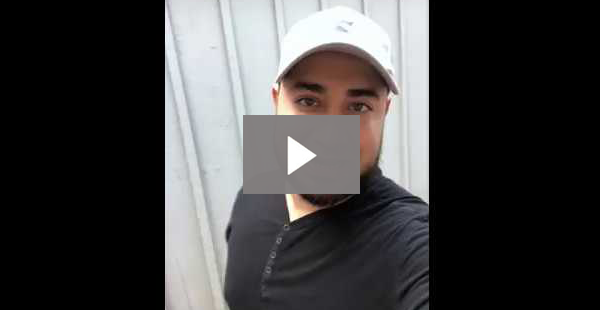 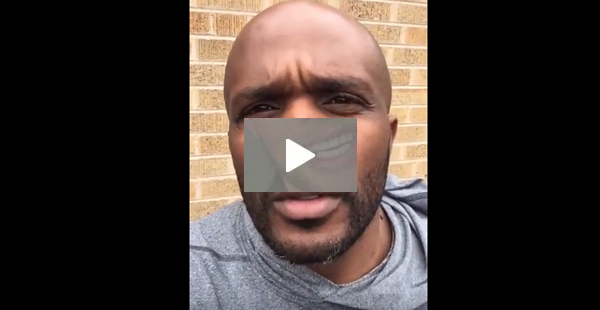 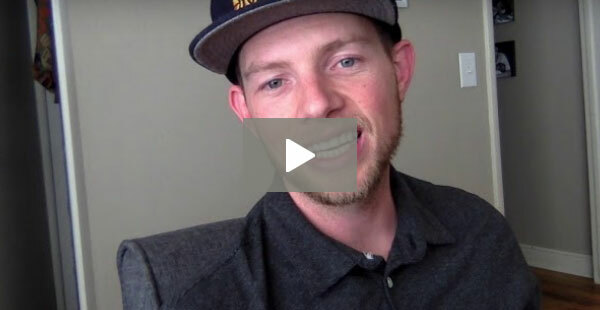 Are you getting enough quality leads, not making the money you know you can make from your wholesaling business or just want to take your business to the next level? 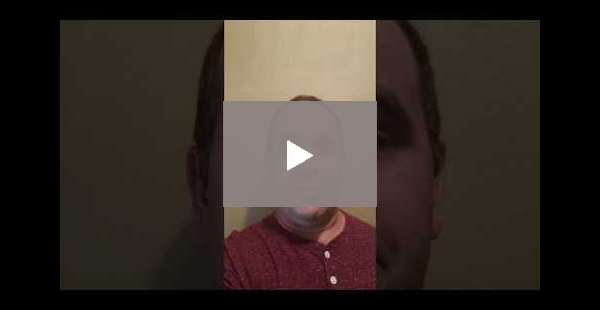 Or do you simply have a small marketing budget but want big results? 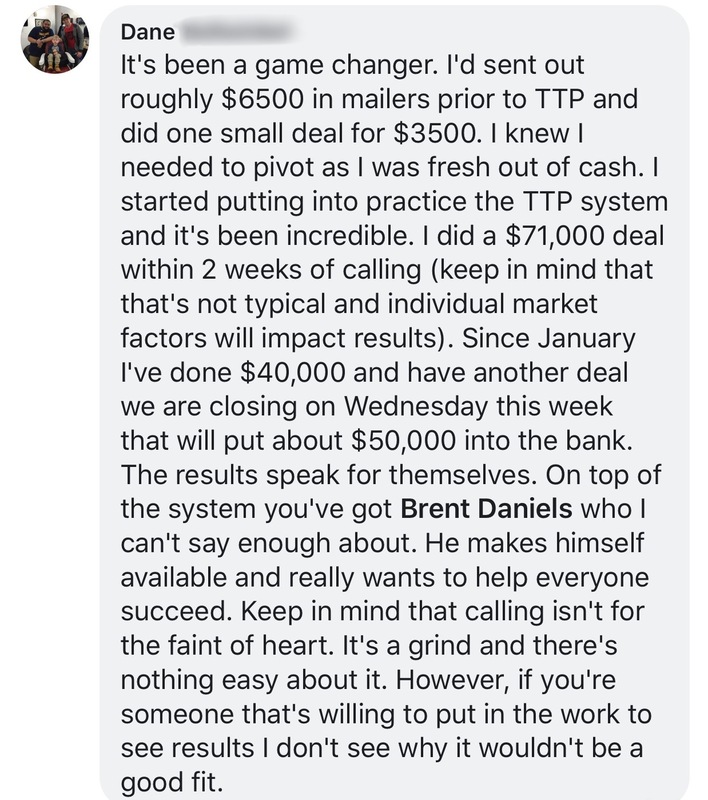 My name is Brent Daniels and in 2017 my team and I generated $1,038,895.61 in the real estate wholesaling business using a simple, fully tested, high performing, step-by-step, easy to follow “Ninja” marketing system that not one in ten wholesalers are using or even know about. 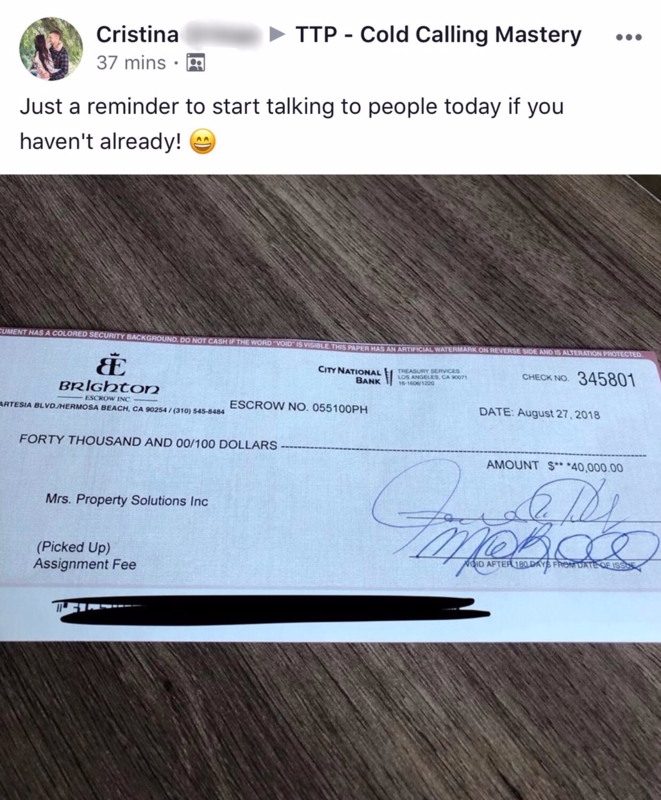 What I’m talking about isn’t placing newspaper ads, posting “we buy houses” signs all over town and simply wishing and hoping and waiting for the phone to ring. 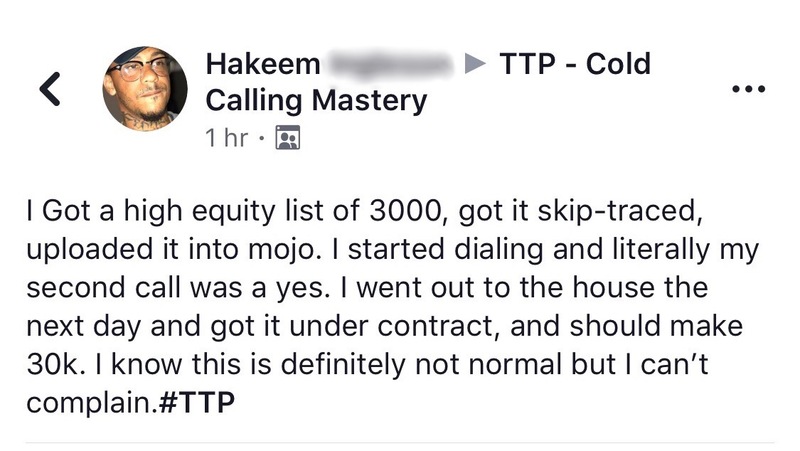 What I am talking about is a proven, step-by-step system to pick up the phone and call people ready and willing to sell their property now. 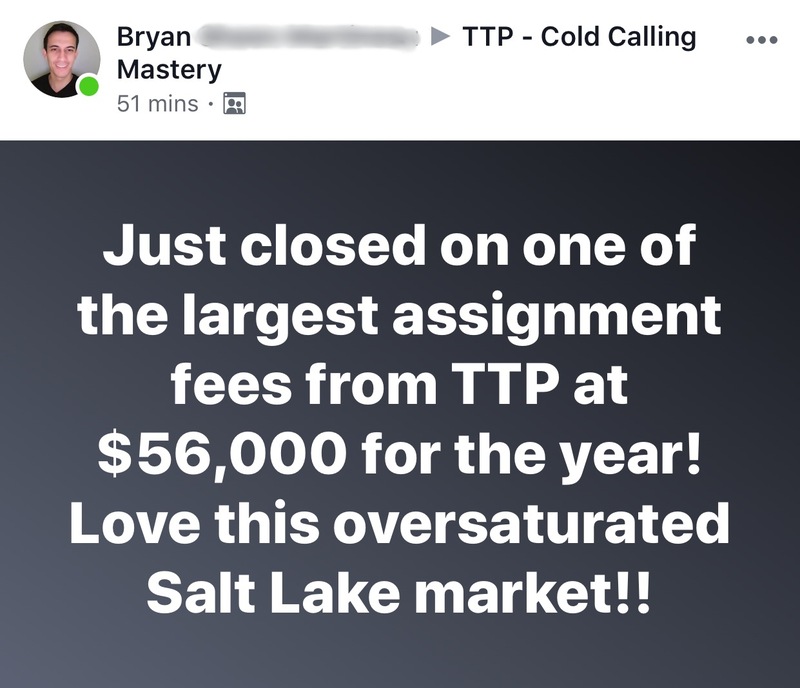 I simply call it the Talk to People (TTP) program. 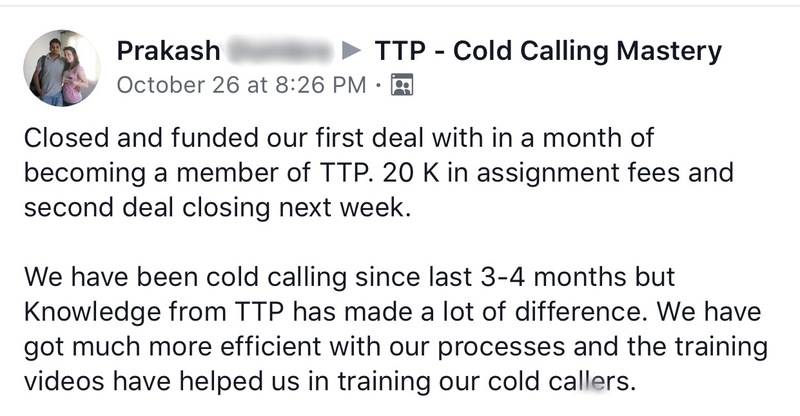 You may be wondering if cold calling people works and if it is really that simple…My Talk to People system does work and we make it super simple because we tell you exactly what to do and how to do it. 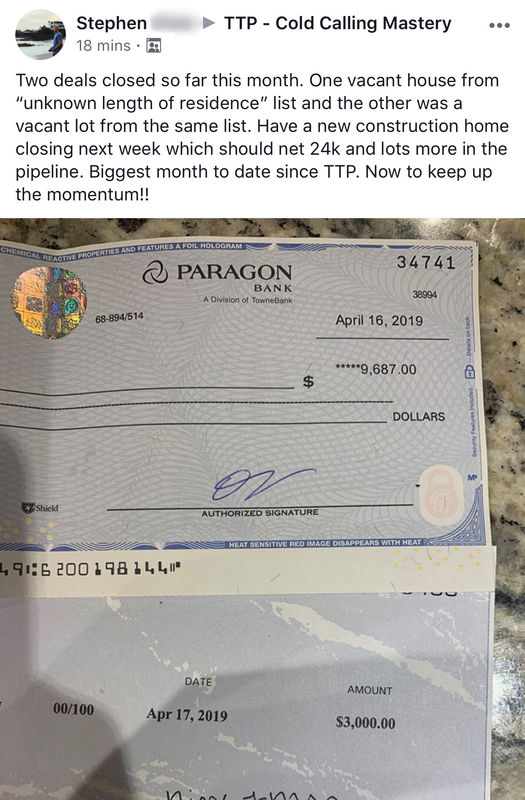 After making 1.2 million phone calls to people and generating almost $2 million dollars in sales we know this system works like a charm because over the past four years we’ve continually refined and improved this complete system so that it’s the very best there is. 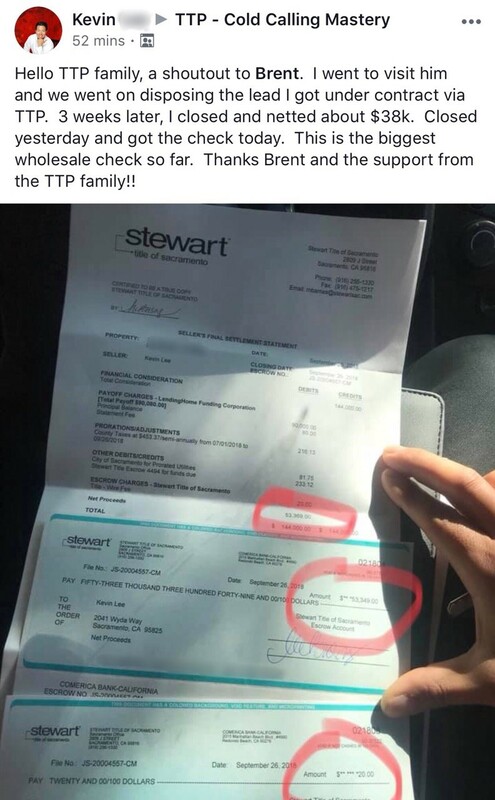 There’s nothing for you to figure out. 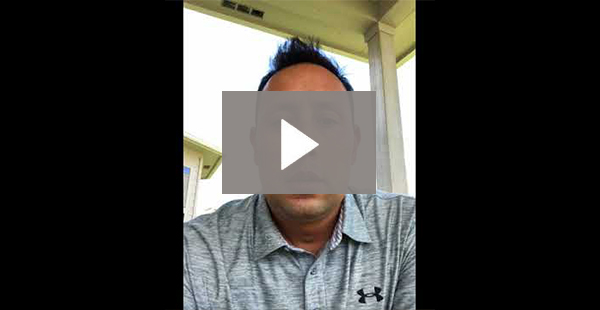 Just simply follow the steps we outline and you’ll see your wholesaling business and deals explode faster than you thought possible. 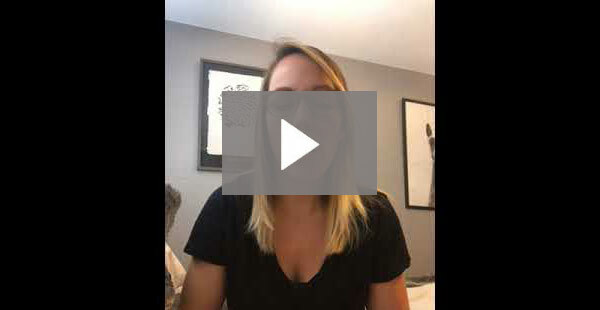 What to say and how to say it to people you talk to. 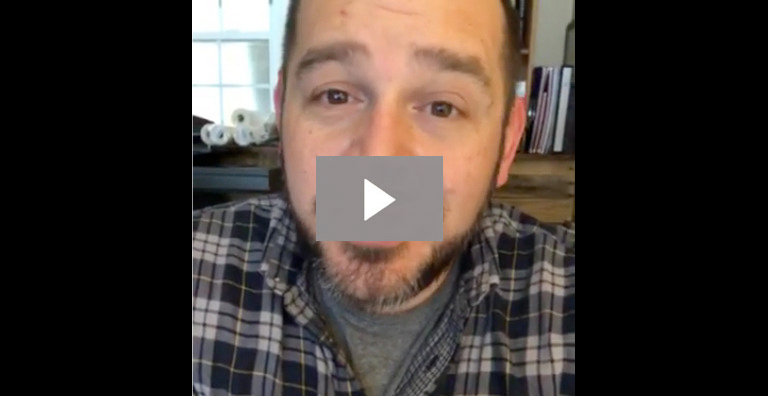 We cover everything from the tone of voice to use, how to handle objections and questions and even how to make money from people you talk to who aren’t interested in selling now. 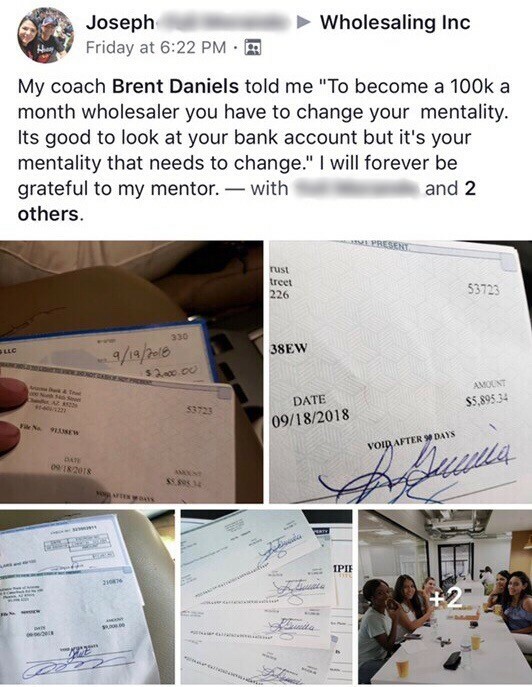 These scripts aren’t just theory but proven to work time and time again. 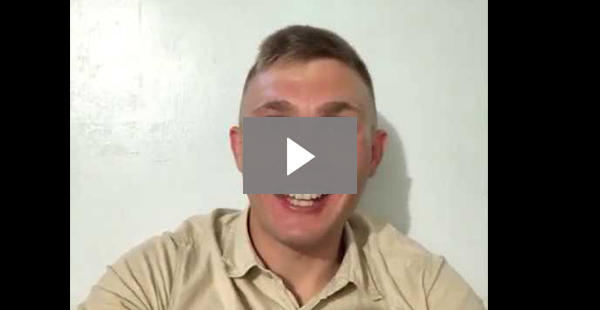 We also give you the exact system to use to talk to the most people in the shortest period of time. 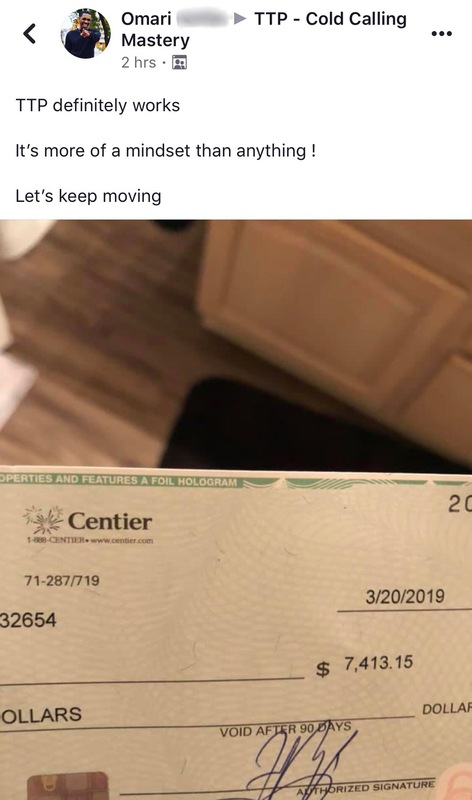 We leave nothing out to start making you more money right away. 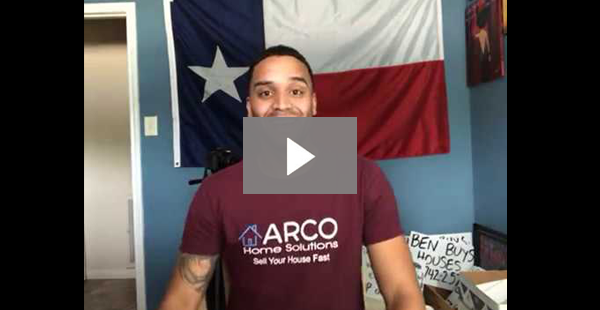 We’ll even share with you a proven formula for exactly how much to offer to each property owner you talk to so that more motivated sellers will do business with you. 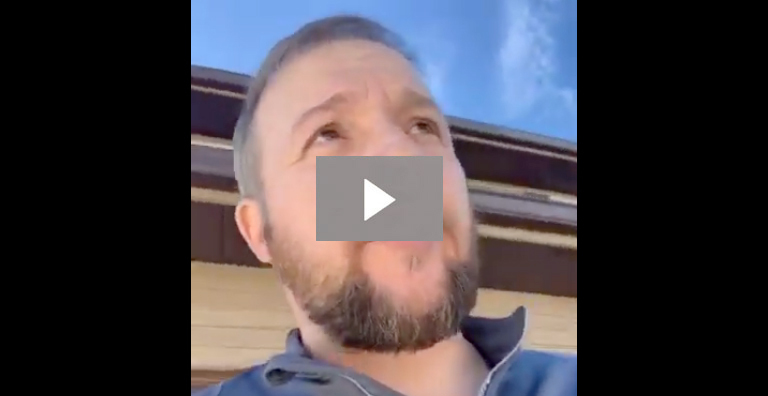 But that’s not all…once you personally apply this system and when you have more business than you can handle we also show you how to hire and train others to make the calls so you will wholesale more properties. 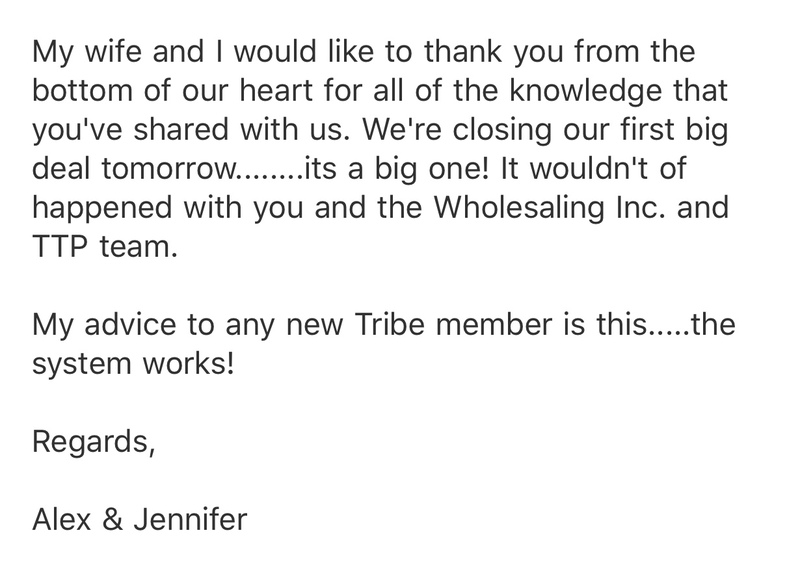 The sky’s the limit when you scale this business using the tools and techniques we share with you. 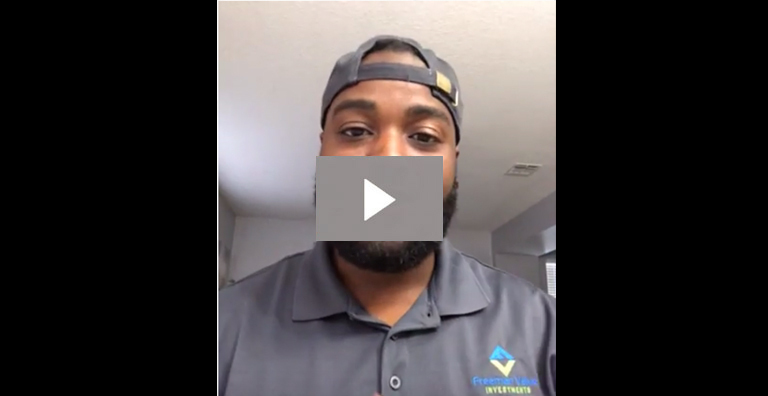 If you’d like to learn more about how to make more money wholesaling in the fastest way possible, simply click “Book a call” for a free consultation. 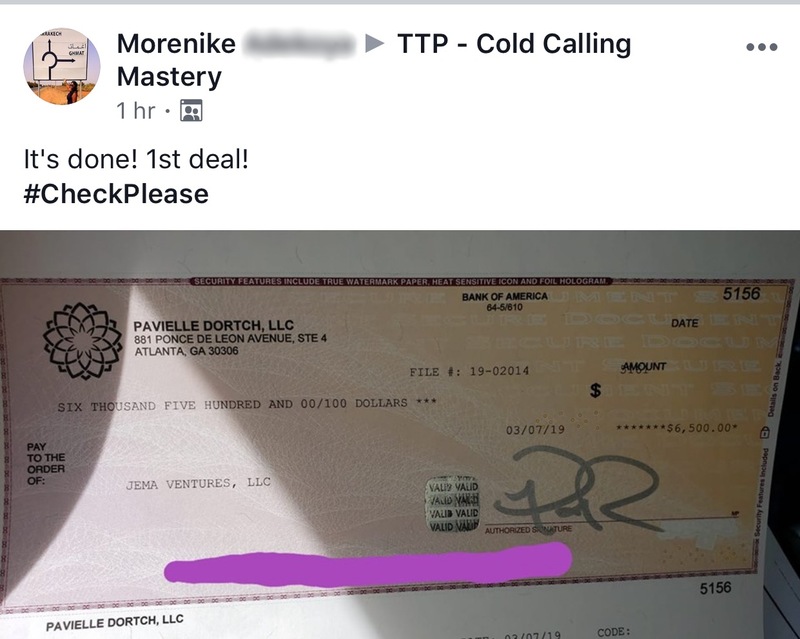 As soon as you learn more about our TTP program, you’ll see how quick and easy it is to take your wholesaling business to the next level and stop wasting money on less effective postcards, advertising, signs and/or other marketing that doesn’t work for you as well as our proven, more sales now TTP program. 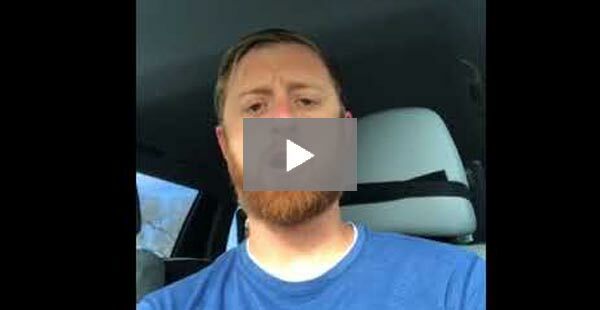 Can you imagine how your wholesaling business will change when you stop hoping and waiting for motivated sellers to call you and instead simply pick up the phone and talk to people ready to sell their properties right now? 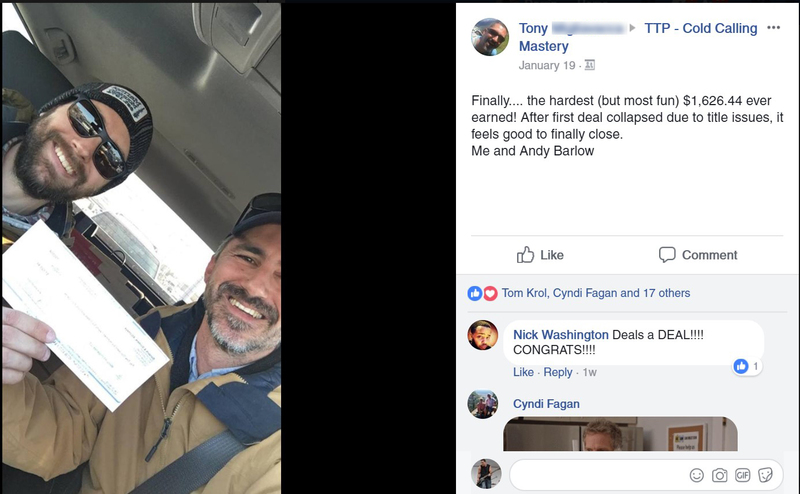 Experience shows that having the right, accurate list of motivated sellers, knowing exactly what to say and how much to offer owners will make more sales for you faster while other wholesalers in your market will wonder how you are doing what you are doing. 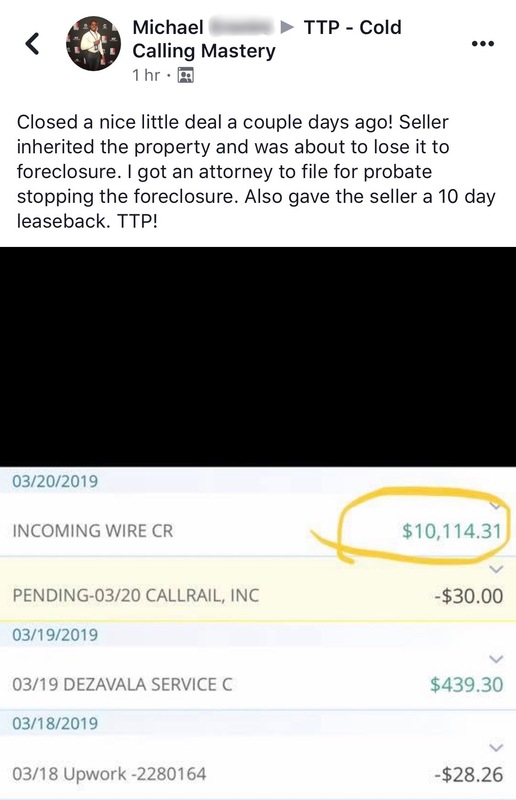 Just imagine what it would be like finding yourself closing more deals every single day in the future now looking back on what your business was like before you had the TTP program. 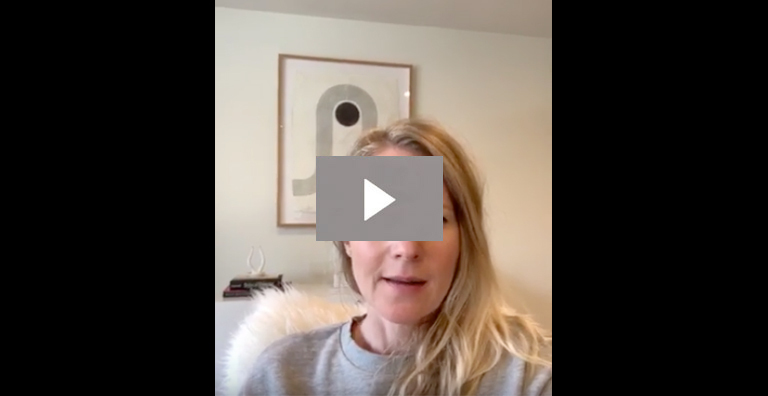 As you sit there listening to me you’re probably already beginning to feel excited about what’s possible for your business as you take it to the next level. 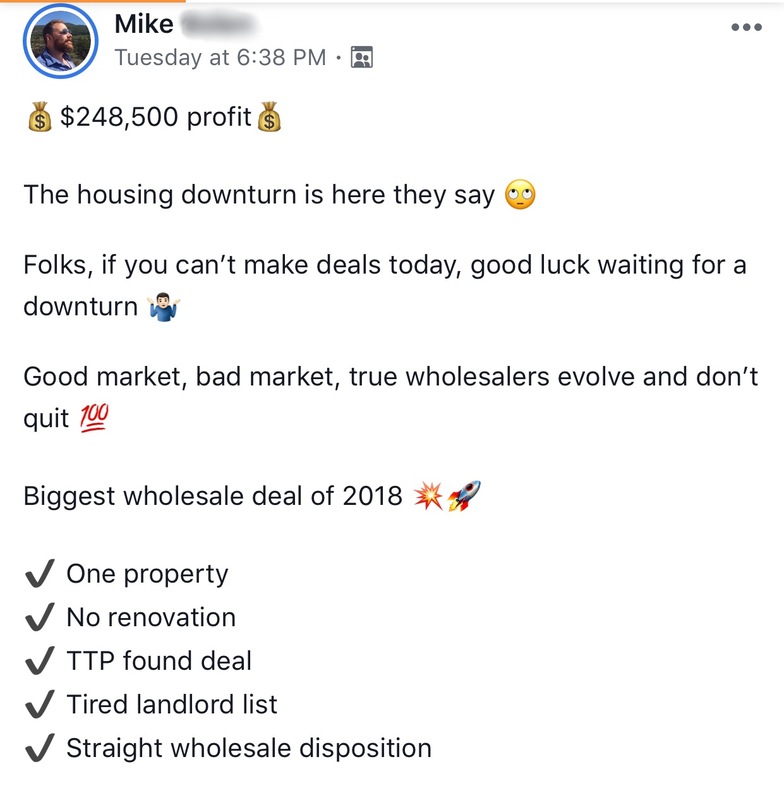 Just think about how you’ll feel each day when you pick up a list of motivated buyers ready to sell now and close deal after deal after deal. 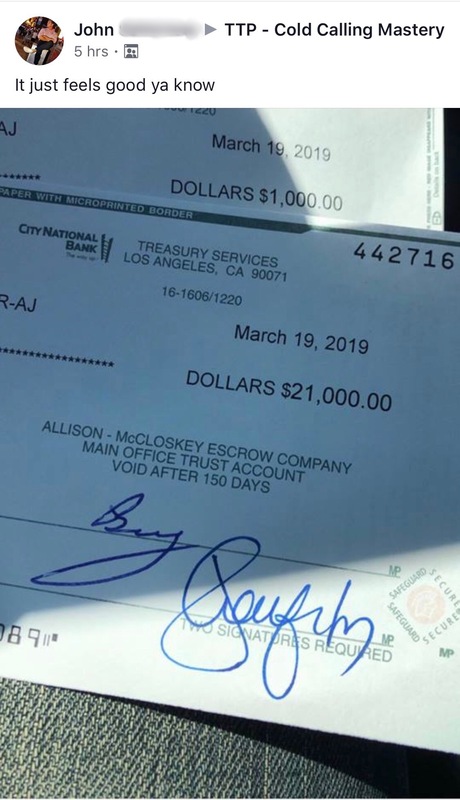 It will probably bring a smile to your face at the end of each week as you see more money pouring into your bank account. 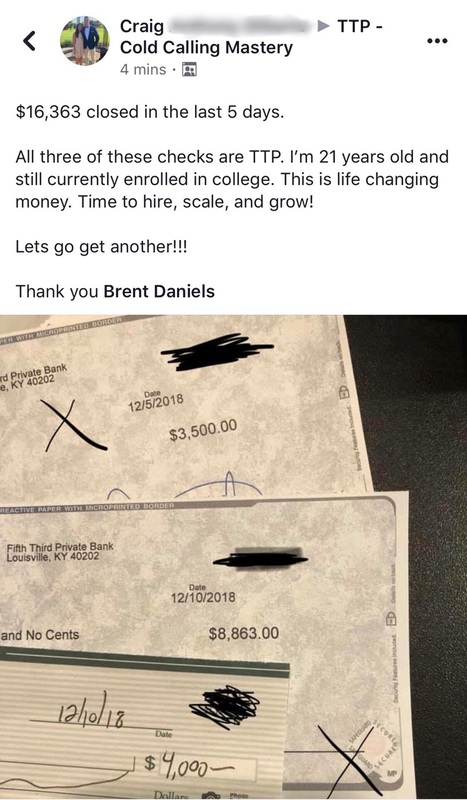 Finally you’ll have all the money you need to do what you want to do, go where you want to go with no limits and do anything you want. 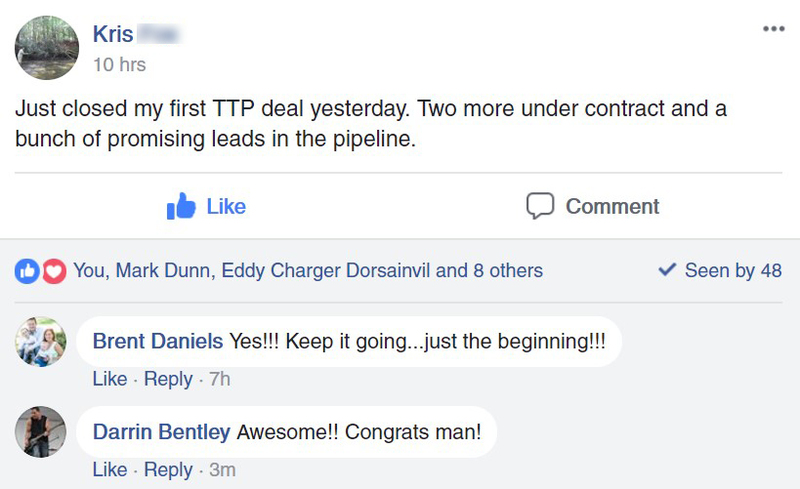 And it will get even better when you hire others and have our system teach them to do exactly what you’ve already been successfully doing with the TPP program. 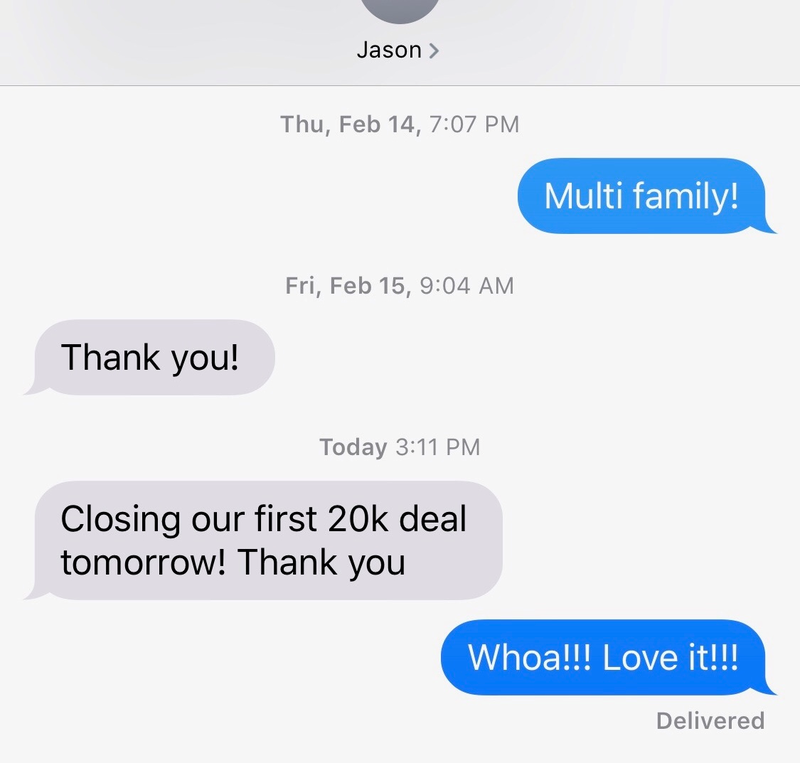 I’d like to encourage you to book a call with us now for a free, brief consultation where we’ll share more about how you can close more deals faster and easier. 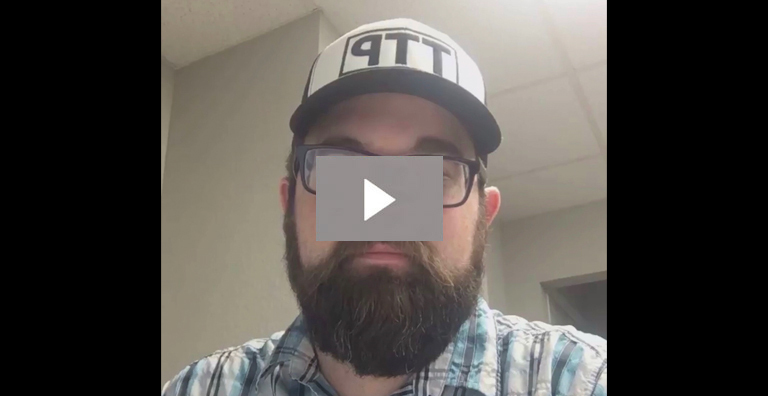 Wouldn’t you agree that learning more about the TTP program as a way to grow your business might make sense for you? 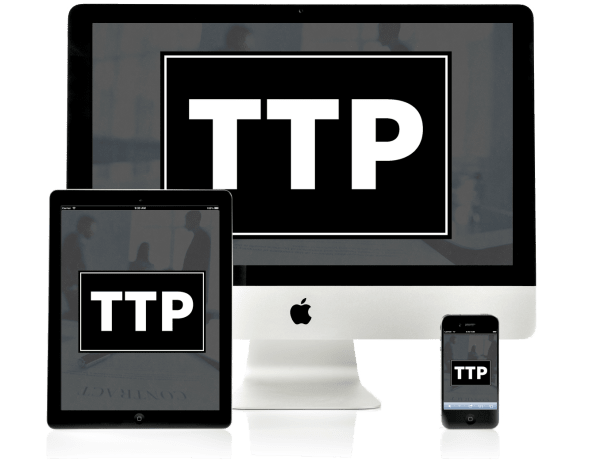 Click the link and book a call with us today to see if you qualify for the TTP program. 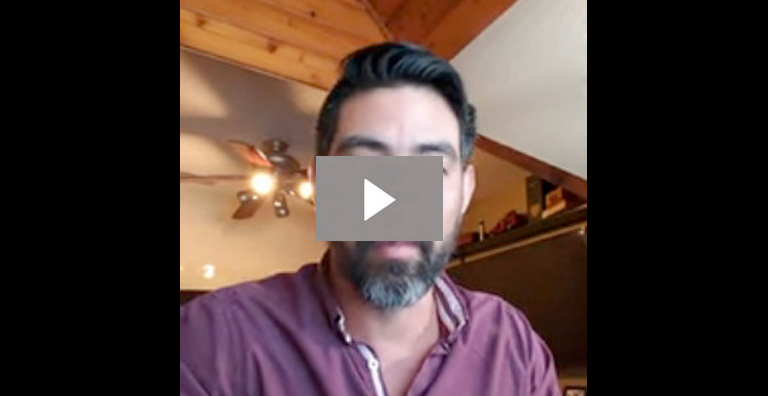 Because of the limited number of participants who will be invited into the program you owe it to yourself and your business to book a call now. 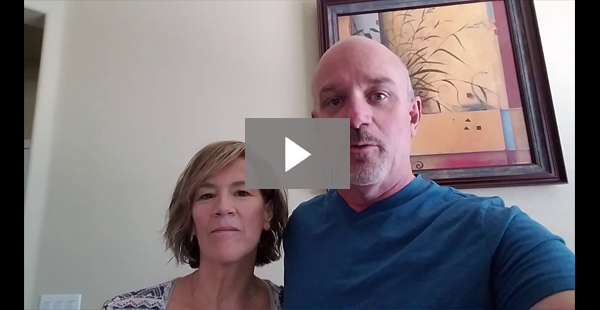 Eric Roth said “Our lives are defined by opportunities…even the ones we missed.” Don’t miss out on this opportunity to learn how you can quickly and easily grow your wholesaling business. 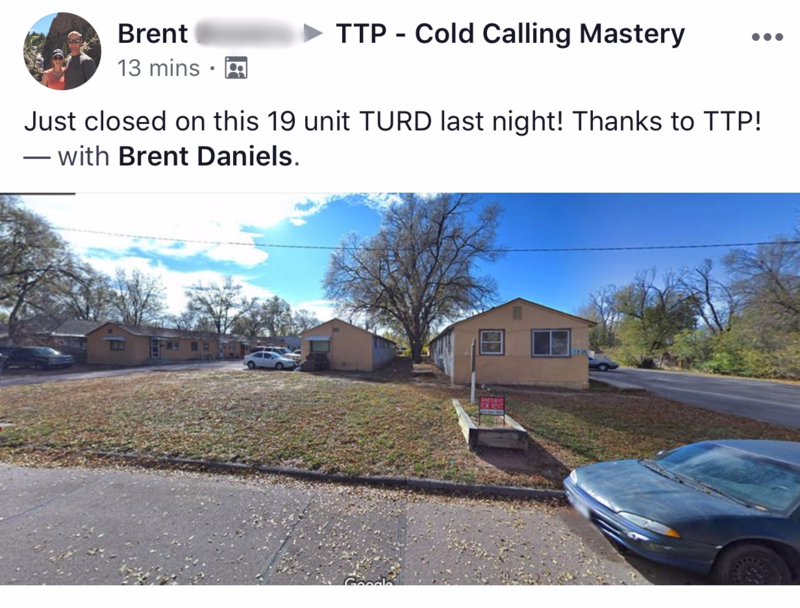 Book your call today. 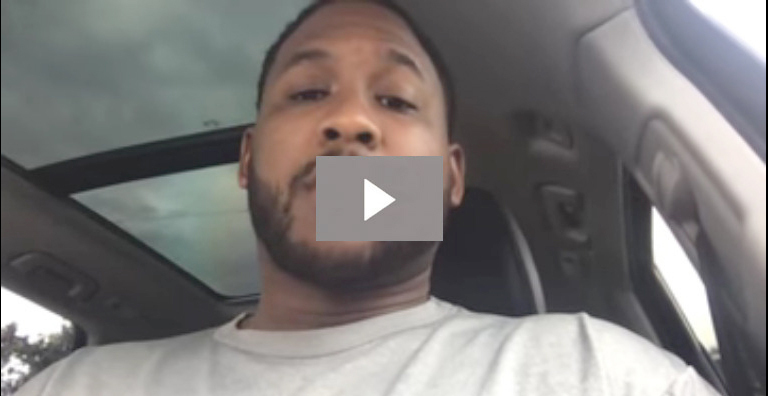 TTP has helped Cedric find his freedom! 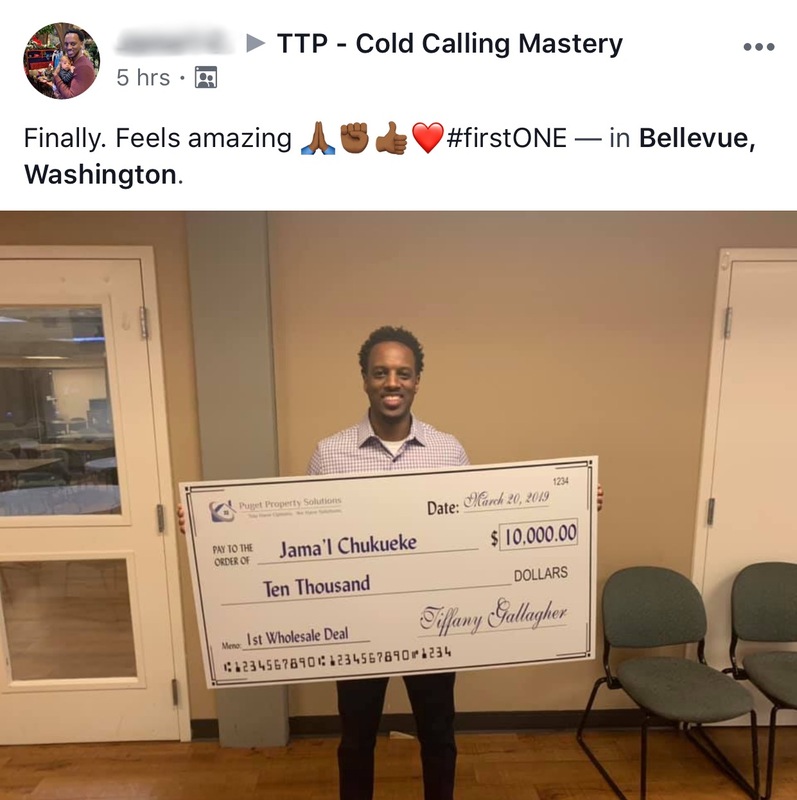 $10k from his first deal! 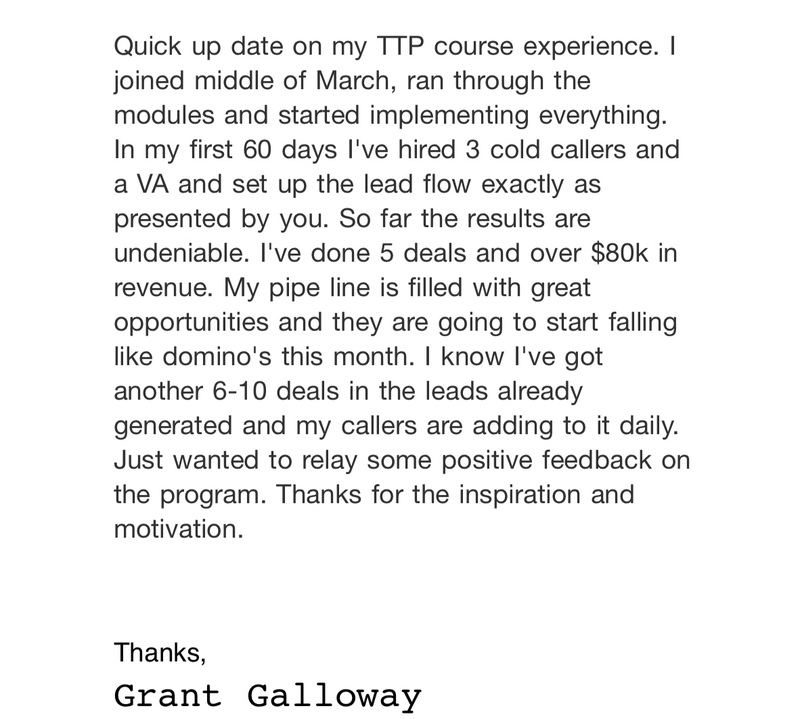 TTP has helped Michael become consistent with his business. 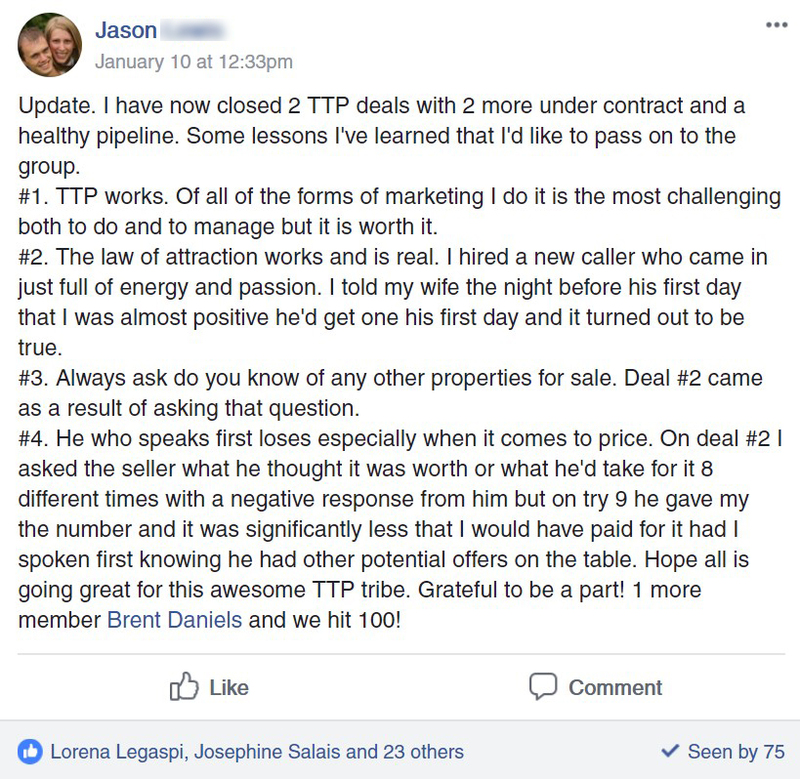 Implementing both WI & TTP took Jessie’s business from part time to full time. 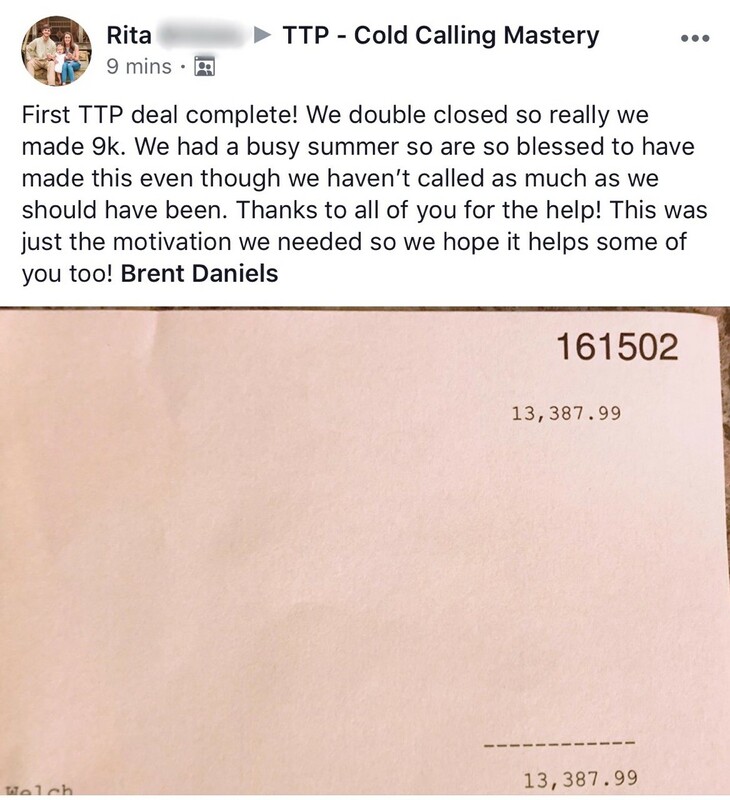 5 Closings in 60 days since adding TTP to their business. 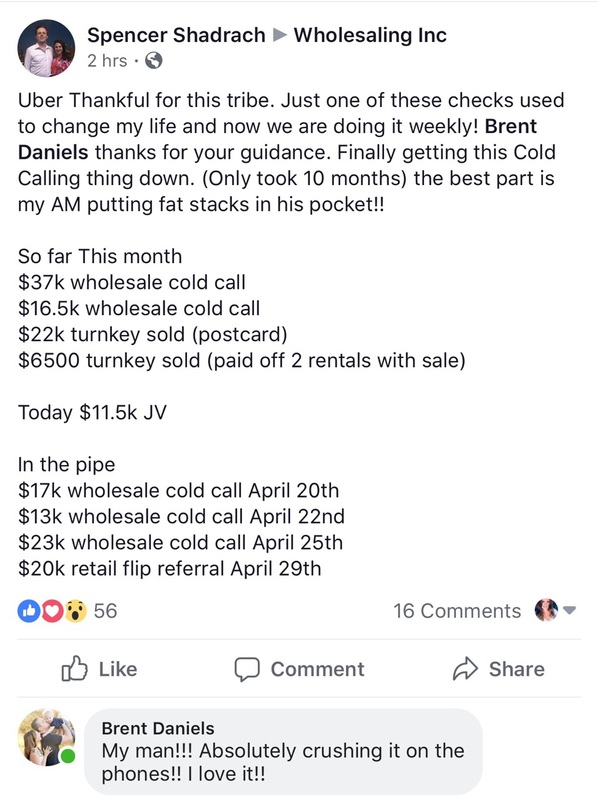 $72k in only TWO months!! 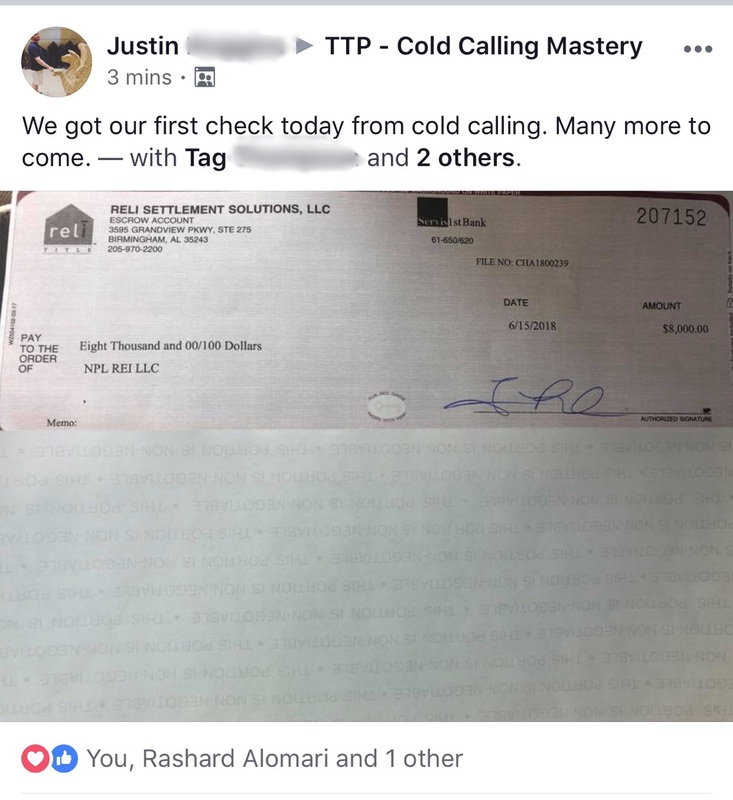 Tag has went from 60 leads per month to 600! 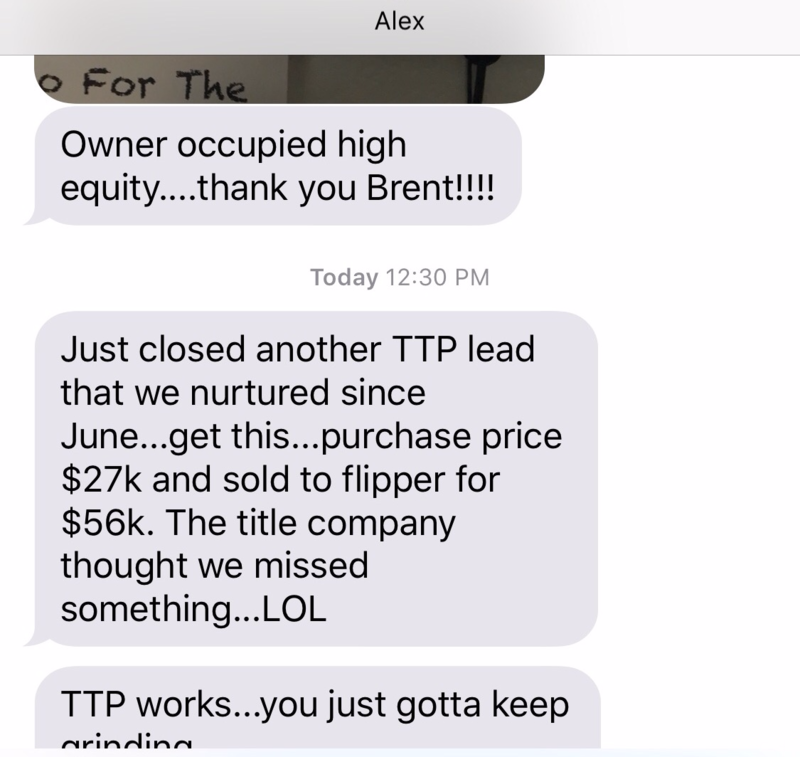 TTP!! 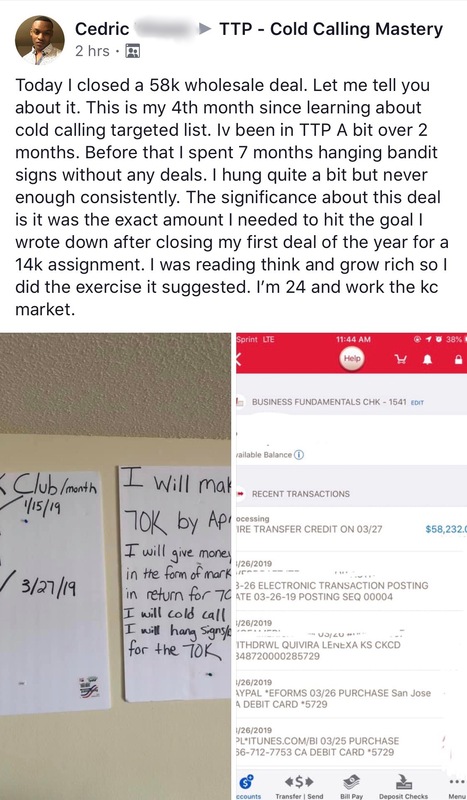 David has done 20 Deals in 5 months, averaging 15k per deal! 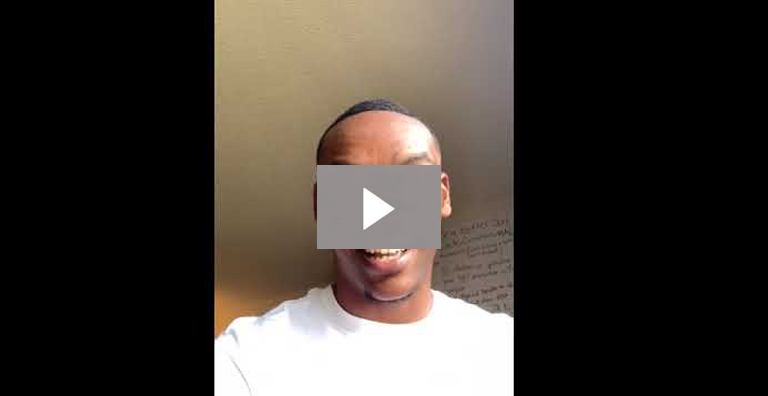 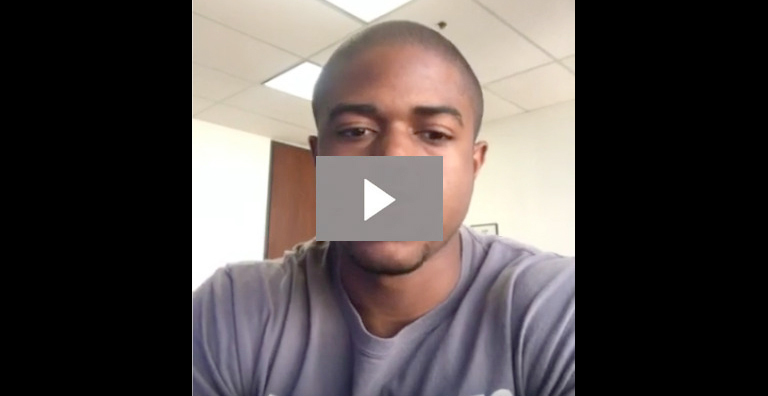 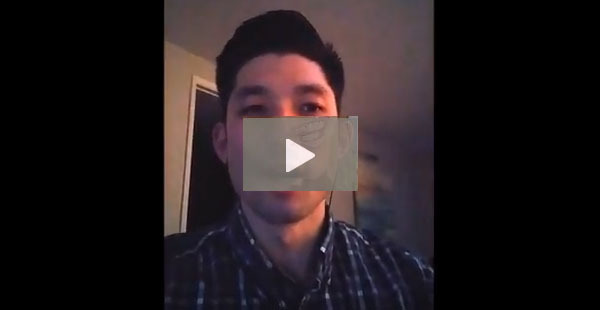 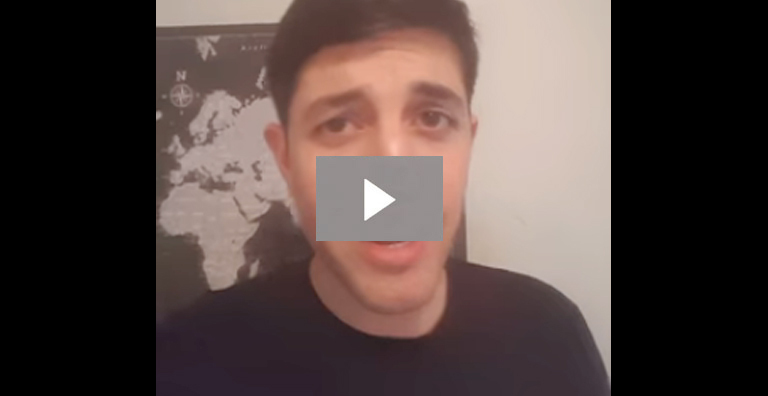 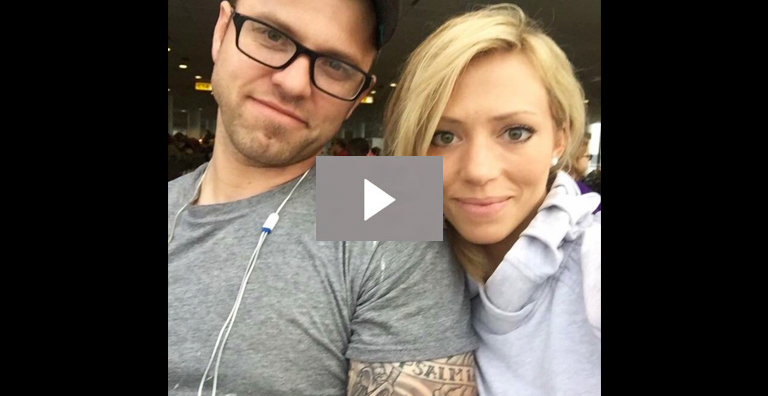 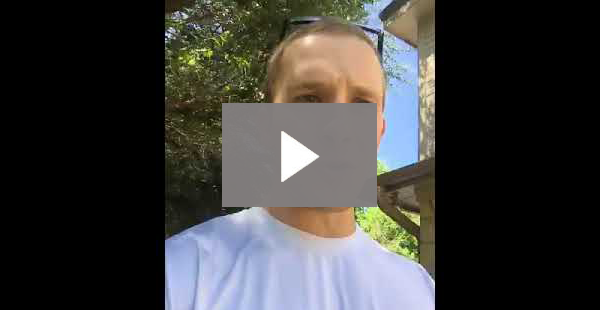 Josh’s leads have skyrocketed, closing 15 deals since adding in the TTP course! 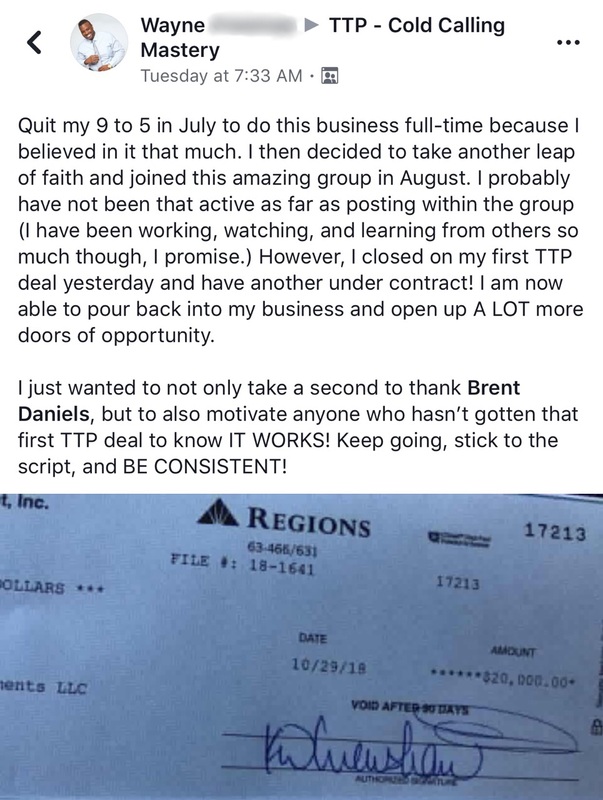 Following Brent’s instruction has lead Jason straight to success! 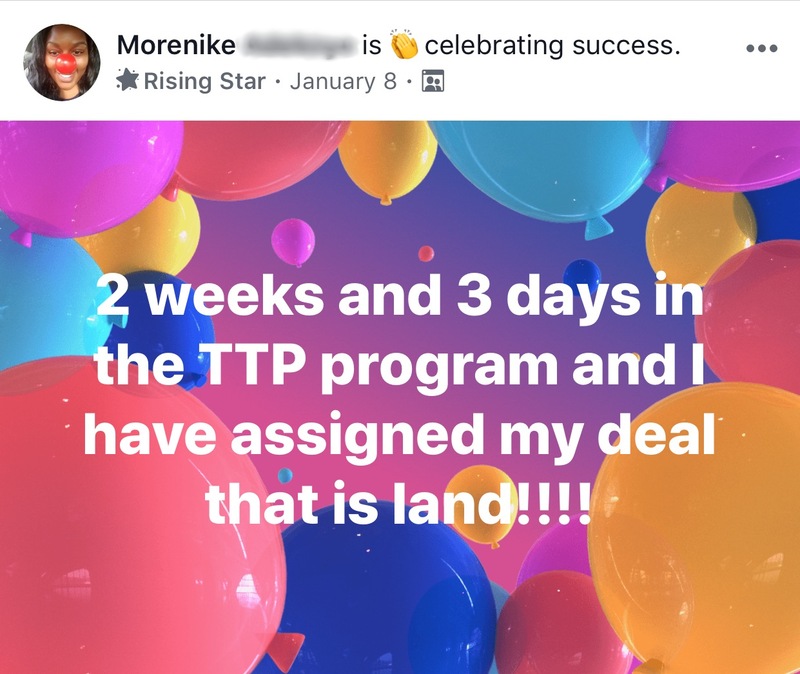 Business has been BOOMING since joining the TTP Course! 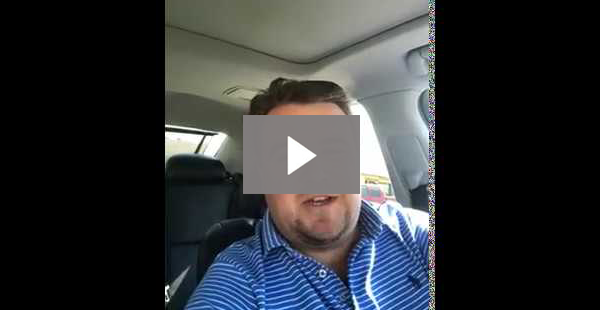 In only two months Craig has built his cold calling business! 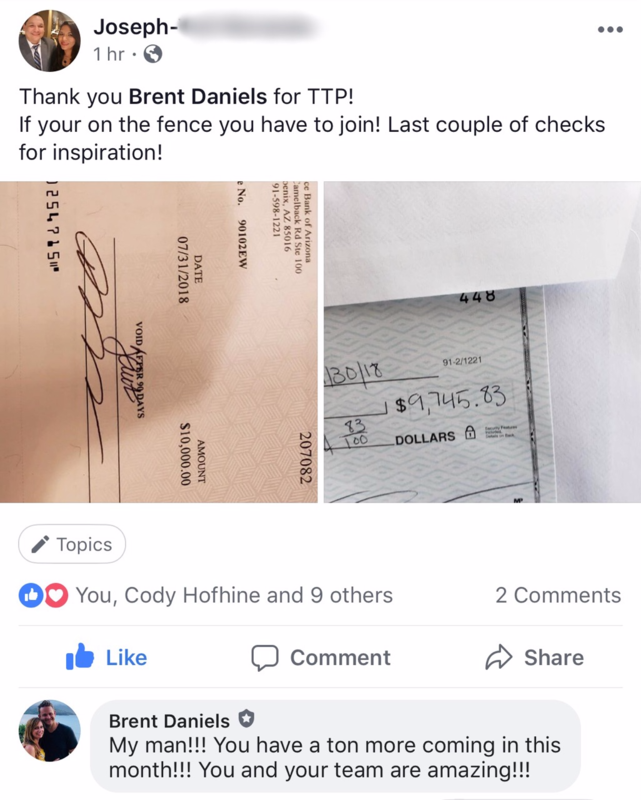 Jumping into the TTP course has added value to Wayne’s business. 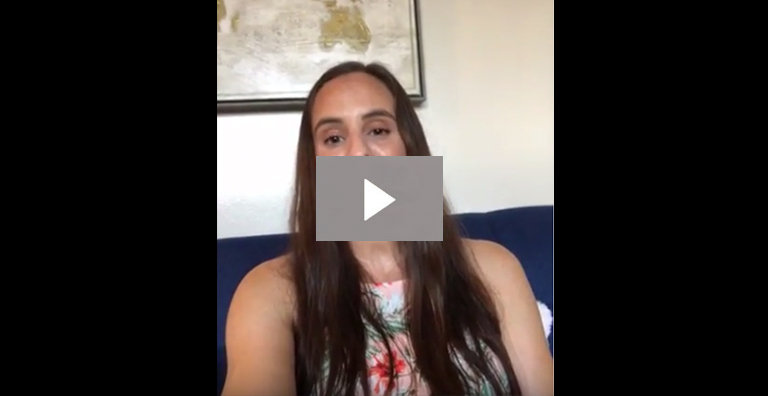 Joining the course has given Cristina the blueprint she needed to get consistent with her business. 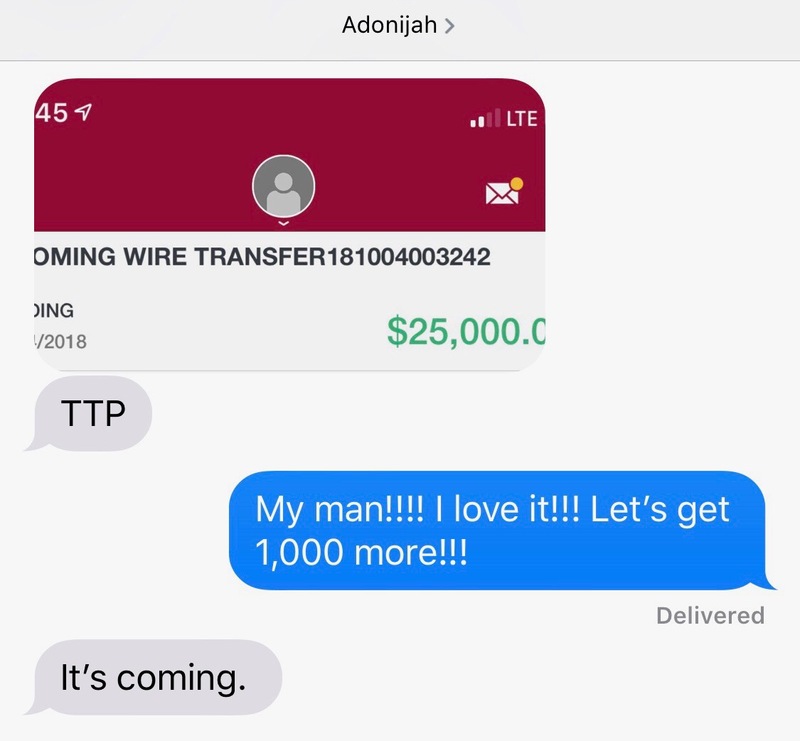 Adding TTP is taking Adonijah’s business to the next level! 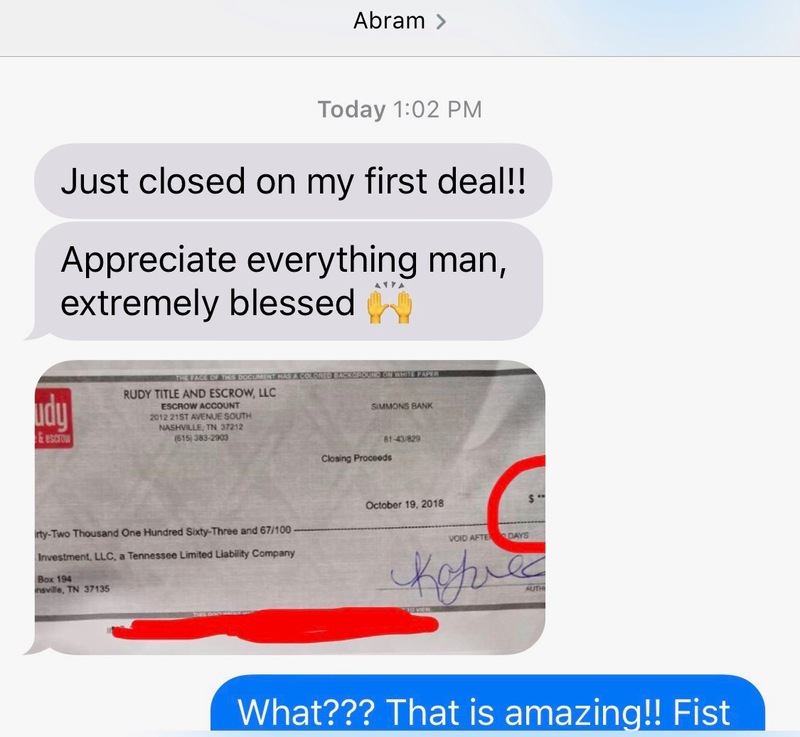 Abram started Talking To People and closed his first deal for 32K in only 3 months! 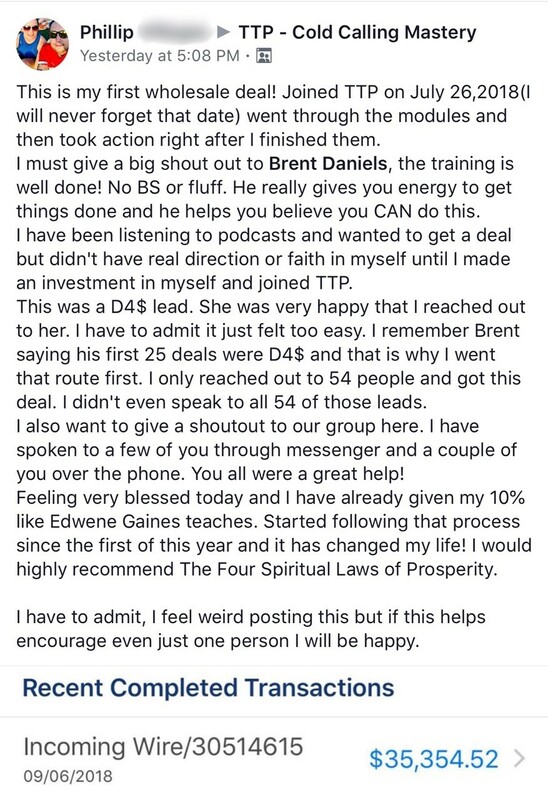 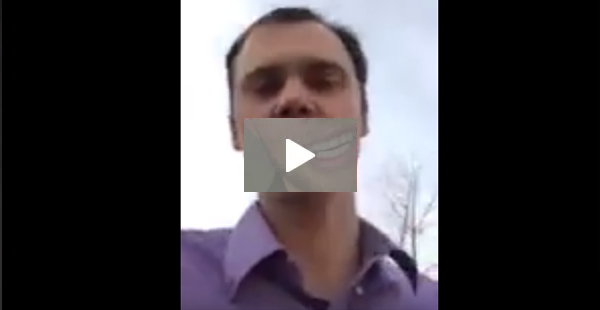 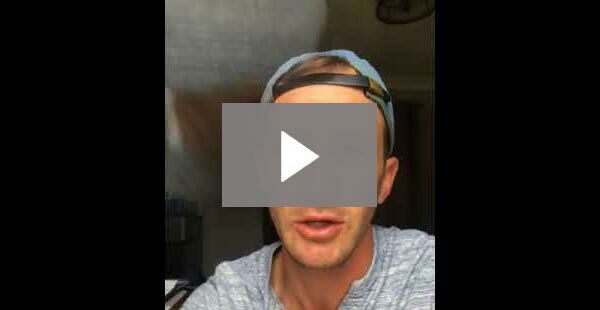 Drew has gained traction since adding the TTP course to his business! 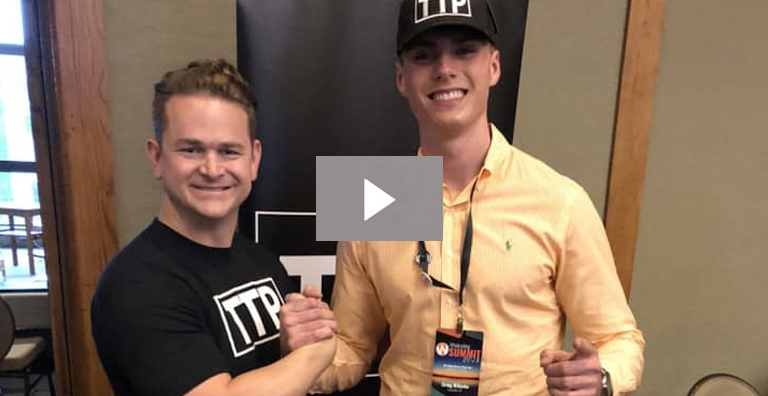 Colin went through the course with Brent’s guidance and closed his first deal for $25k! 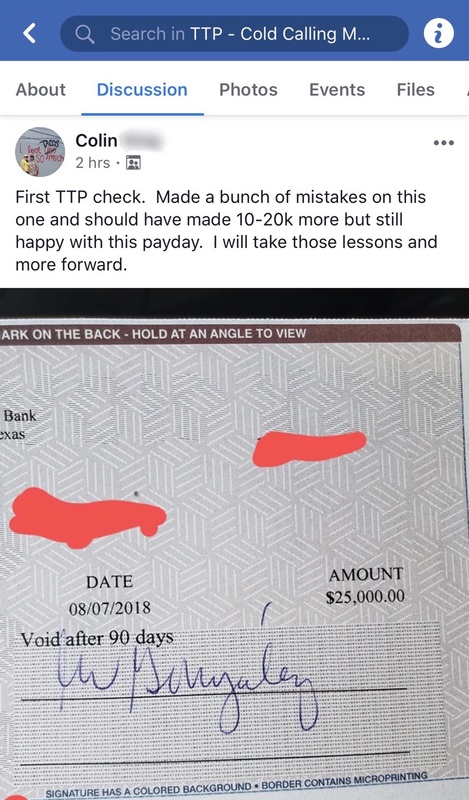 In less then two months Phillip was cashing his first check for $35k just from Talking to People! 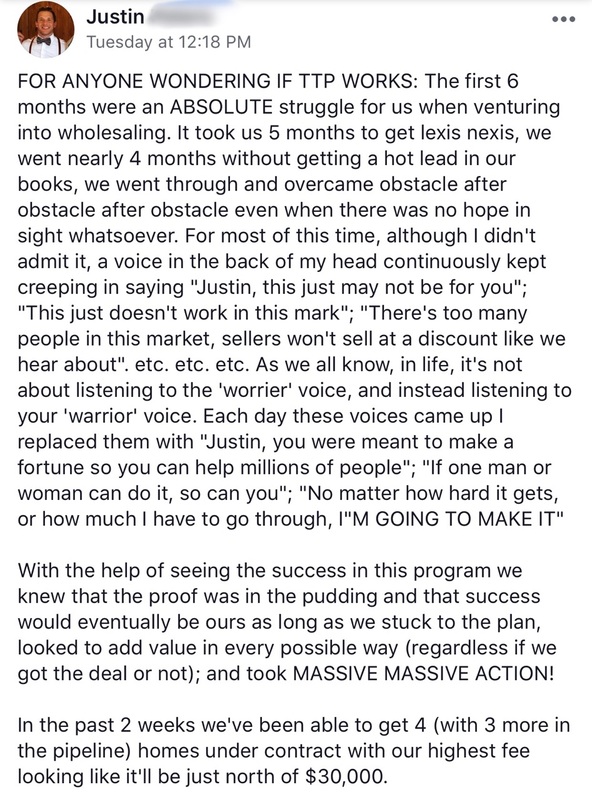 Kyle’s business went from averaging 20k a month to 100k a month! 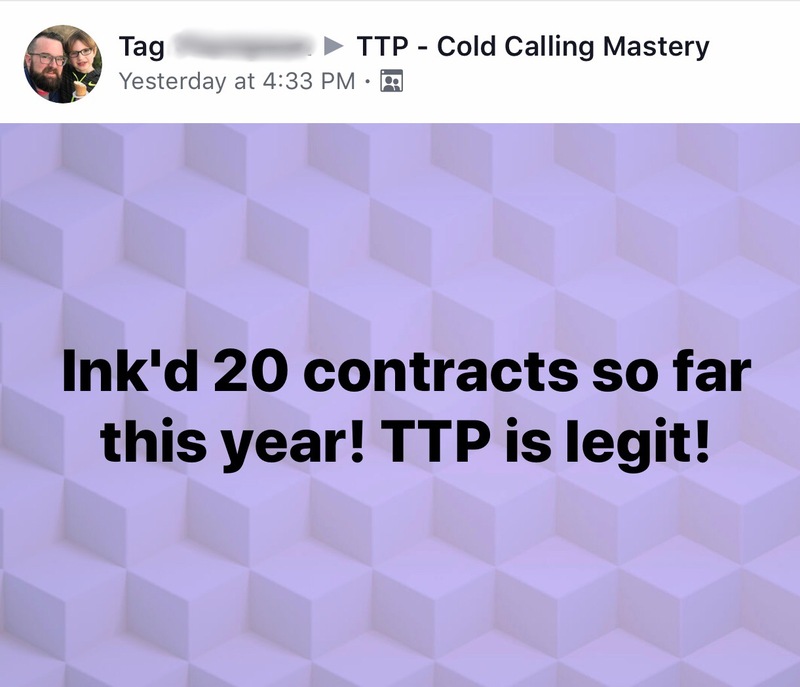 Simply from TTP!!! 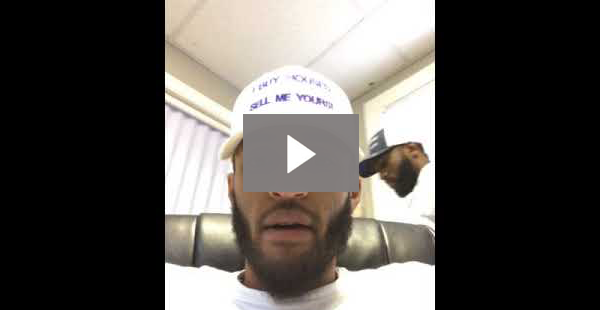 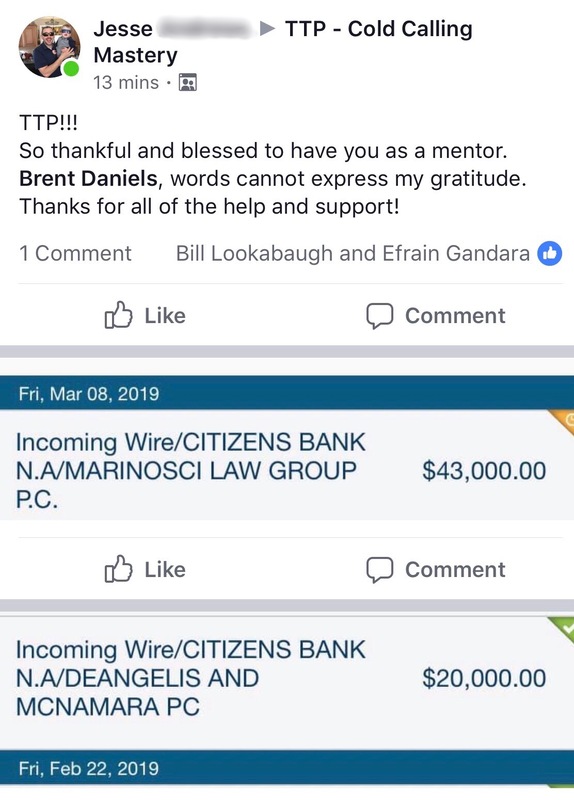 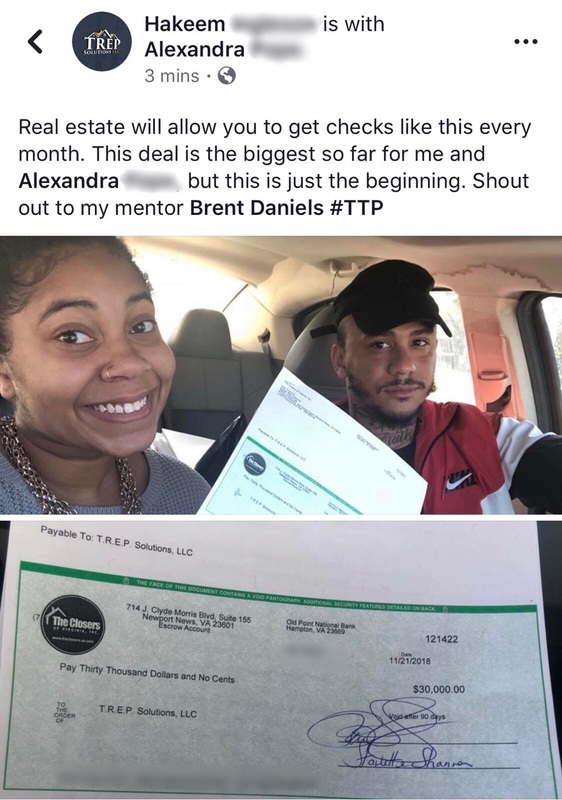 Getting started with the TTP Family has been a Game Changer for Chris’ business! 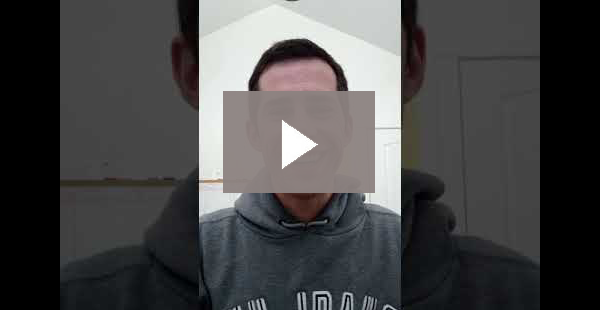 Joining the Tribe helped Giovanni scale his business from 1 deal a month to 15 deals a month! 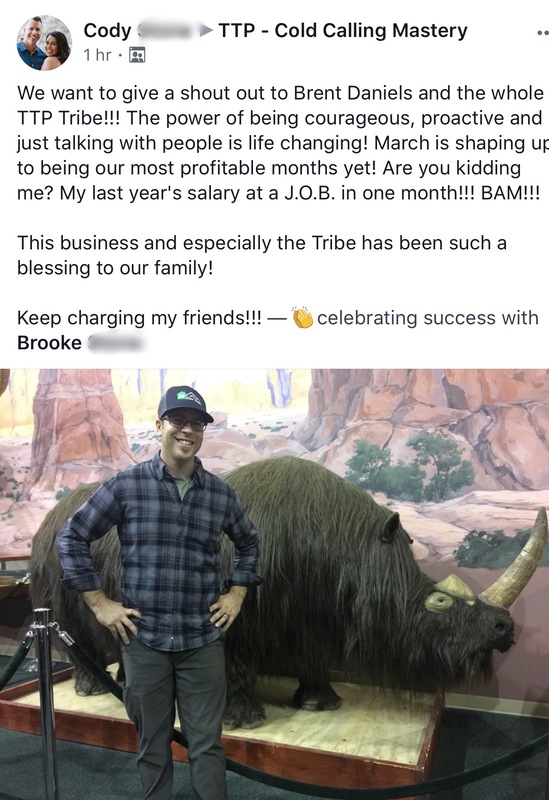 BAM!! 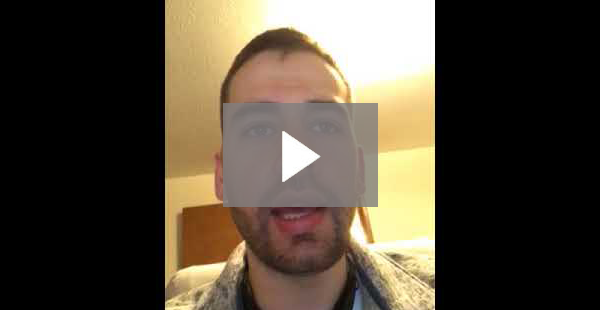 Dan has been using the TTP system as his number one source to get leads. 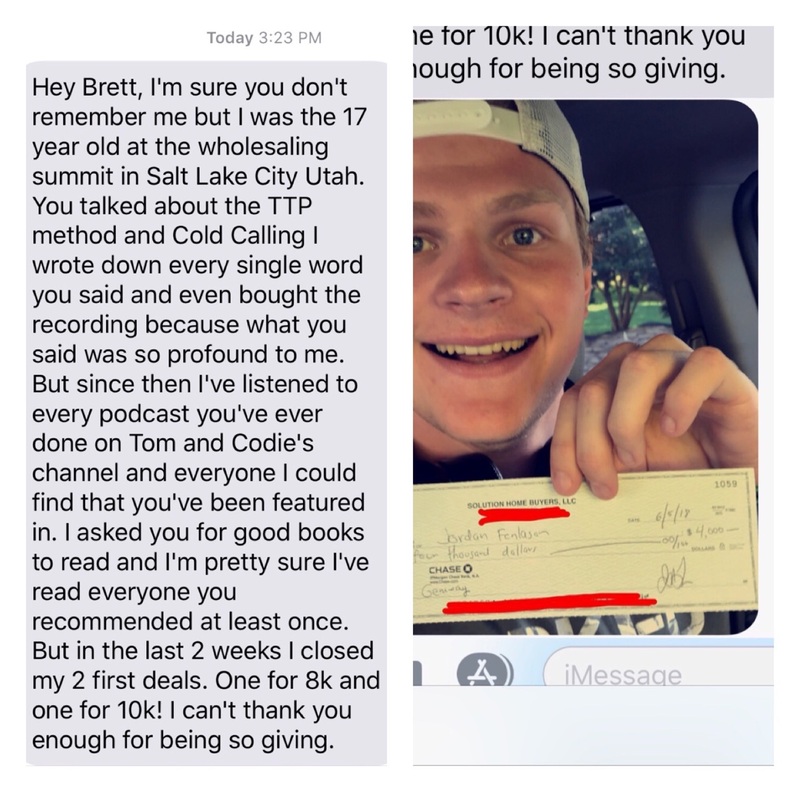 Closing out the month at $48k and leaving his corporate job last week is just the beginning for Ben! 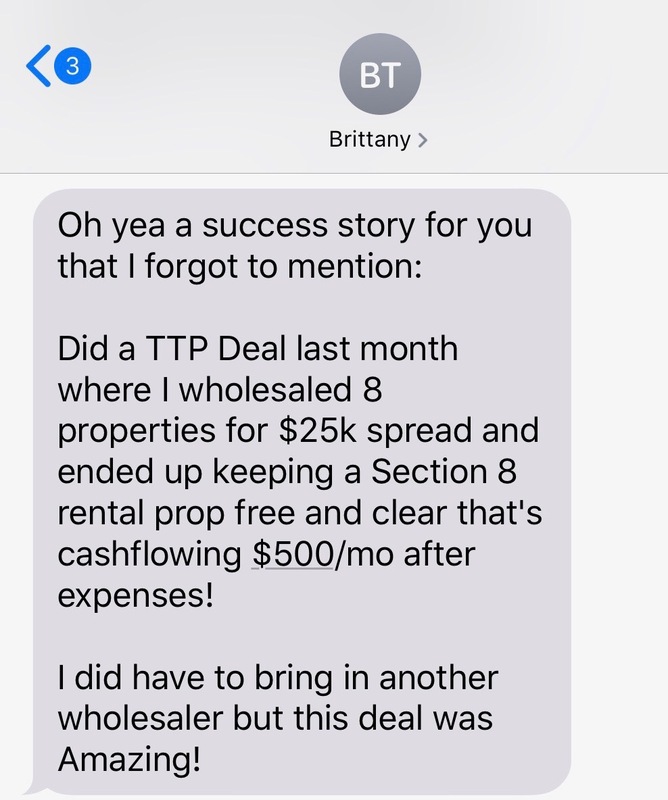 Brittany joined the TTP course to help expand her business and grow her deal size, in only 1 month she has had some Major results! 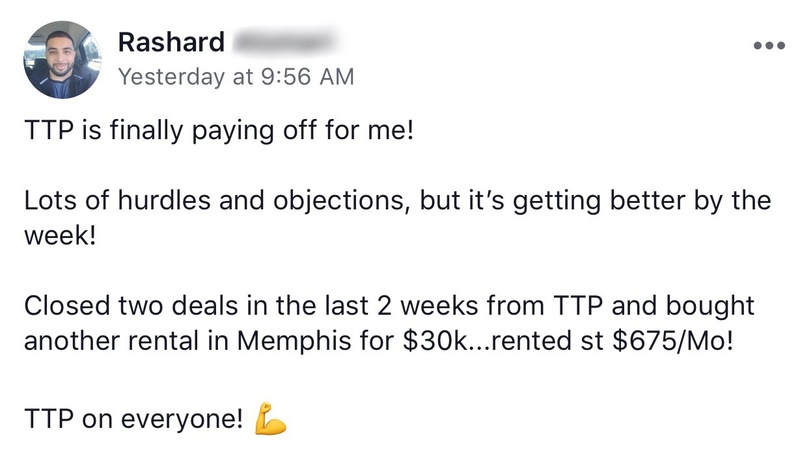 Eight deals in only 3 months averaging $14k per deal! 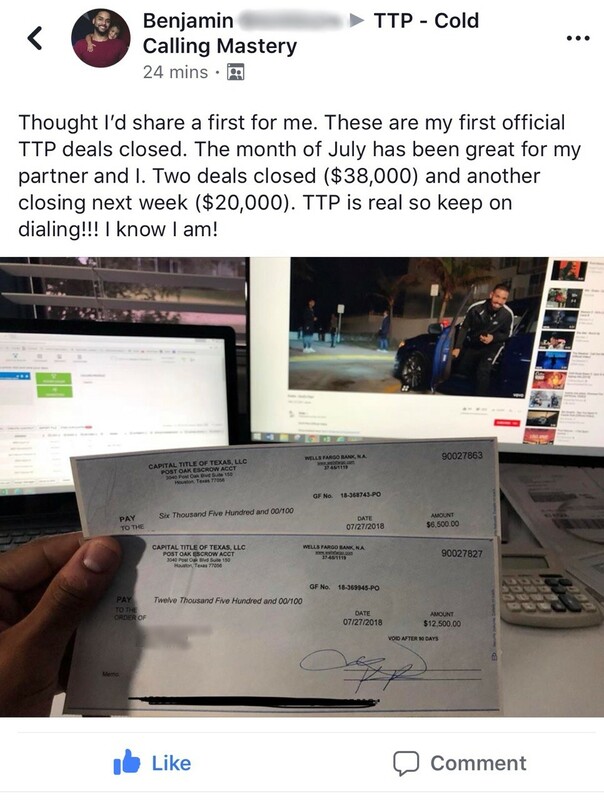 Sam is on the phone everyday Talking To People, he closes his first deal only two months after following Brent’s instruction and taking Massive Action! 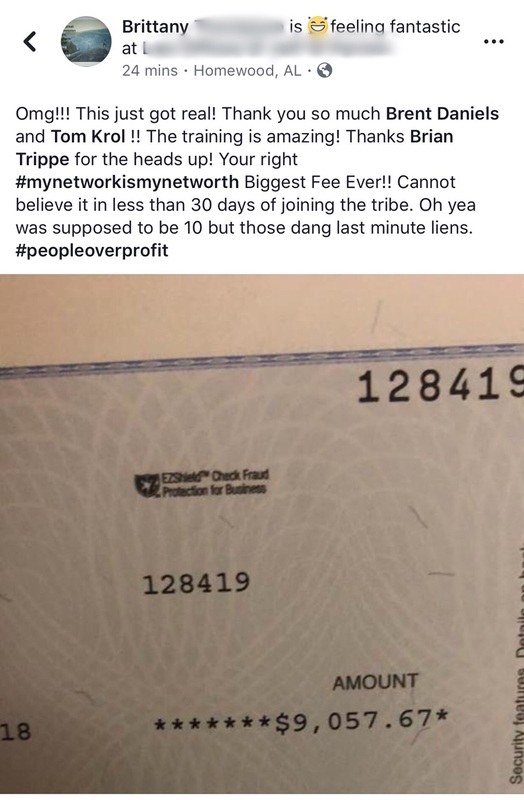 Stephanie has been getting Massive results! 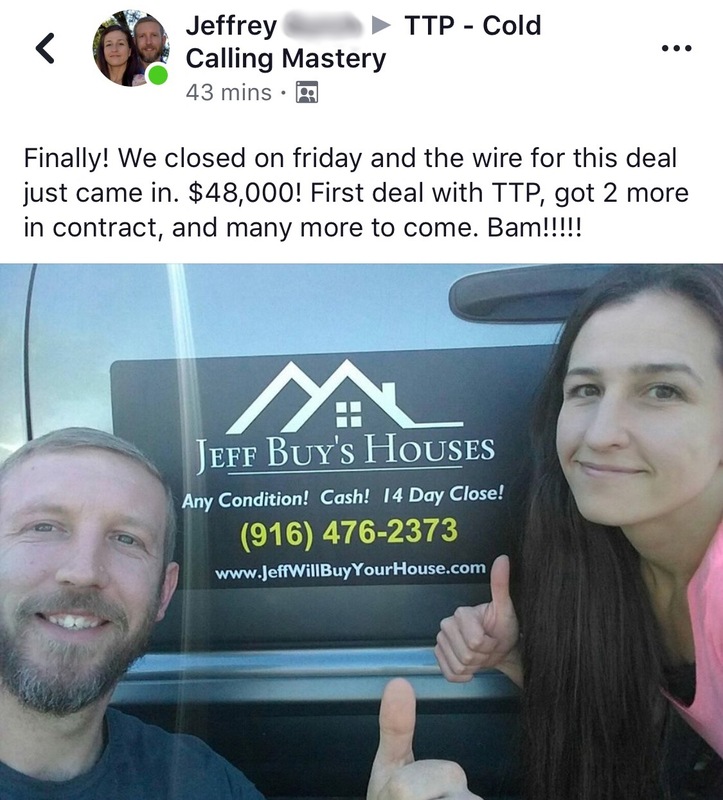 Matt had TWO deals within two weeks of getting started with TTP, bringing in over 50k!! 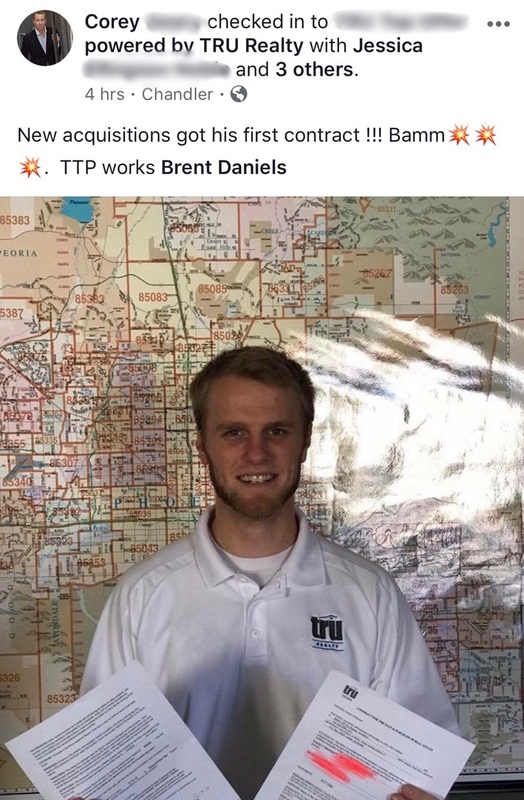 Brent’s business has grown using the TTP course, and he is excited to see what the future brings! 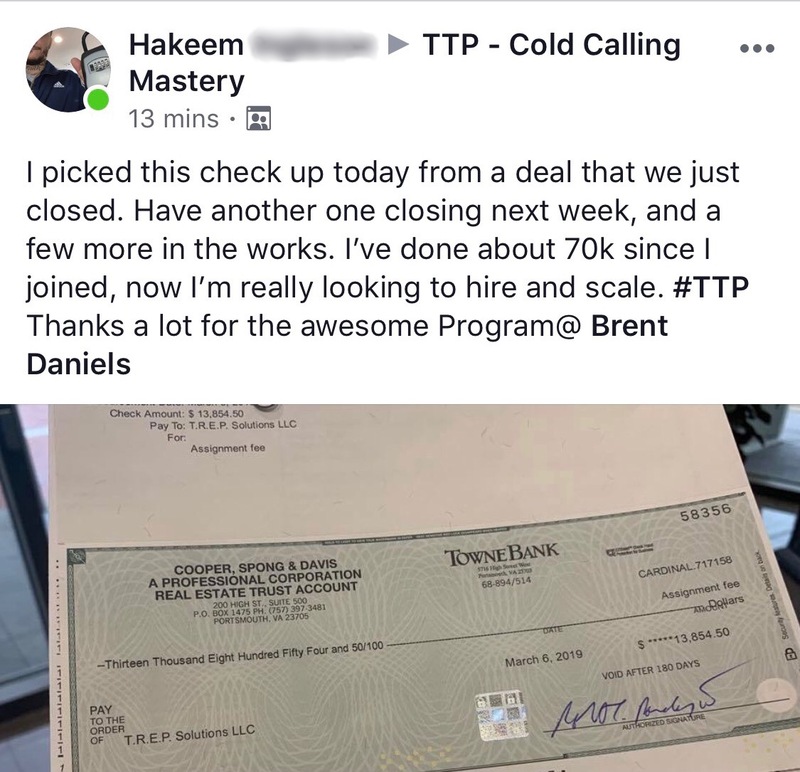 Generated over $70,000 on ONE DEAL! 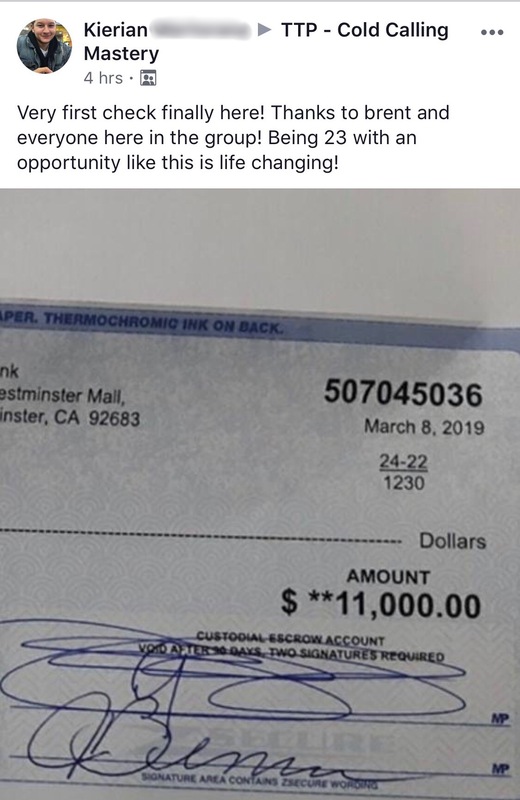 Solomons Goal for 2018 is to Break $200k Barrier! 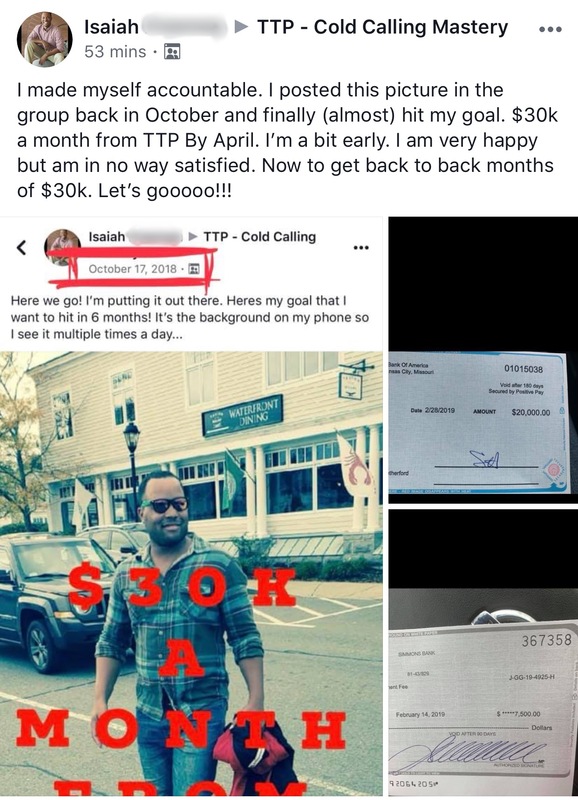 Doing $80k in one month!